Basketball: Pillars Set for a Better Outing at the 2013 FIBA ACCM Finals After Finishing Top of the Qualifiers. Kano Pillars basketball club retained the Zone 3 FIBA Africa Championships Cup for Men (ACCM) qualifiers for the fourth successive year, after finishing the championship, held in Monrovia, Liberia, unscathed. Pillars maintained a perfect 5-0 record in their final match at this year’s elimination series, which began on October 8 through 15, seeing off runners-up LPRC Oiler of Liberia, third-placed Union Bank, Ghana’s CEPS Braves, Liberia’s other representative NPA Pythons and Young Sportman Club of Sierra Leone, on the way to defending their Zone 3 title. 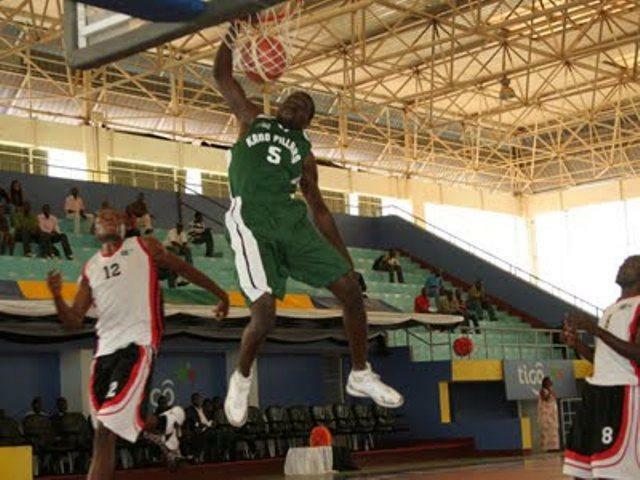 Pillars head coach Sani Ahmed has revealed the Kano State-owned team is poised to surpass its previous performances in the final round of the biggest club basketball event in the continent slated for December 2013. “We will go on a week break to allow the players to regroup with their families for the EID Kabir celebration and be in a relaxed mood before regrouping for the final preparation,” Coach Ahmed told reporters on arrival from Liberia on Tuesday, October 16th. He said the team will start preparation early even as Fiba Africa is yet to name the host of the 2013 edition of the championship. “We don’t want to wait on Fiba Africa to announce the venue and date for the final round before we start our preparation because we don’t want to be caught unaware as was the case with 2012 participation where planning hamper our performance. Pillars’ best performance on the African stage has been a fifth-place finish in Rwanda in 2009 and Benin Republic in 2010. They will be joined from the Zone 3 by Liberia League champions LPRC Oilers basketball club, who capped off a 4-1 record in the qualifiers with their Tuesday night victory over CEP Braves of Ghana. 50 Nigerian Athletes are in Contention for the Maiden Okpeke International Road Race. Enyeama: ‘Don’t Rule Us Out’; Nigeria Can Win World Cup. Mba Finally Gets The Pass For A Debut Against Recreativo In Angola. Mba, Abdullahi, Available for Pillars’ Return Duel With AS Vita- Report. Previous article5 Foods That Get You In The Mood!